About - DMD & Associates, Inc. » DMD & Associates, Inc.
DMD & Associates, Inc.About DMD & Associates, Inc.
Danielle Dayries, owner of DMD & Associates, is widely respected in the business community, and has been appointed by the Governor of Louisiana to serve on the Lafayette, LA Workforce Investment Board. In this role, she is tasked with aligning government and business resources so citizens can develop careers and business owners can find and retain qualified employees. Due to her reputation for successfully providing career counseling to multi-generational clients and a 20-year history of managing internship programs with multiple universities, Dayries was invited to serve on the Board of the New Orleans Society of Human Resource Manager Association (NOLASHRM) as the College Relations Chair and as the College Internship Coordinator for the Acadiana Society of Human Resource Manager Association (ASHRM). In addition, she and her team are often asked to write articles, deliver keynote speeches and seminars, and lead workshops on career search related topics. DMD & Associates, Inc. has successfully aided companies in managing the career transition process for thousands of employees due to a reorganization or downsizing. 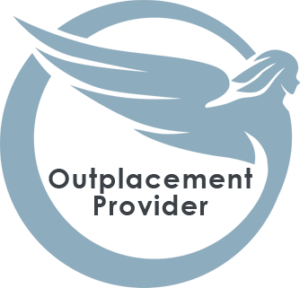 Offering a comprehensive range of packages that are customizable to the levels of impacted employees, the firm has a track record for providing engaging programs targeted to the learning style and unique personal career goal of each client. The solutions Dayries and her team deliver provides the support employees need, from one-on-one coaching to drafting attention-grabbing resumes, cover letters and LinkedIn profiles. Prior to becoming a career strategist, Danielle created branding strategies for Fortune 100 companies, including Sara Lee, Blue Cross/Blue Shield and McDonald’s, allowing her to gain valuable insight into the corporate culture and into the importance of protecting a brand. She brings that insight into planning for a reduction in workforce, both increasing a company’s ability to retain its brand equity while also providing unique solutions to aide the affected employees. Each year, Danielle currently teaches over 100 inner-city students about career exploration and entrepreneurship. She strives to be a solid mentor for students as they become aware of their own strengths and uniqueness. She is also an appointed member of the Loyola University Alumni Board and volunteers with several non-profit organizations focused on empowering minorities in the workplace. In addition, Danielle is often asked to share her expertise on a pro-bono basis at universities, career expositions and job fairs. Mantra of Danielle Dayries, Founder and CEO of DMD & Associates, Inc.